Recently, we published an article looking at how you can get more Google Reviews to boost your brand’s reputation and attract more customers. It can feel like a disaster when the first negative review rolls in but this is all a natural part of the process and nothing to fear. In this article, we’re going to look at how to handle negative reviews and how you can use them to actually improve your brand image. When you’ve put months of careful planning into getting more reviews from customers, it can really hurt when someone decides to leave something negative. This is especially true in the early days when you haven’t got a lot of reviews to your name and one bad review drags your average score right down. The best thing you can do to reduce the risk of getting bad reviews is to make sure your services are as good as they can be. You can’t complain when people leave negative feedback if you’ve failed to meet reasonable expectations. No matter how good your services are, though, you’re always going to get the odd customer that can’t be pleased. You’re also going to have moments when you fail to meet your usual standards. Maybe your supplier lets you down, you’re short-staffed for the day or someone simply makes an honest mistake. These things happen and they increase your risk of getting negative feedback – something you have to accept in modern business. Also keep in mind that people are more likely to leave a negative review when they’re unhappy with a service than they are to leave a positive one when they’re happy. But what do you actually do when negative reviews start to crop up? When you get any kind of negative review, the important thing is to act quickly and calmly. Keep on top of your reviews and have a system in place where your customer support team gets notifications when negative feedback occurs. Also, be sure to have a solid process in place for the necessary team to handle complaints and resolve disputes. We’ll run through each of these points in more detail in a moment, but let’s just reinforce that last step. With Google Reviews your customers are able to edit their review score after you’ve dealt with their issue, which means you can literally turn negative feedback into a positive result. Stay calm, keep things polite and patiently work your way through these five steps. Ideally, you want to evaluate every negative review one by one. This shouldn’t be a problem for a small business, unless you’re doing something to upset a large section of your customer base. 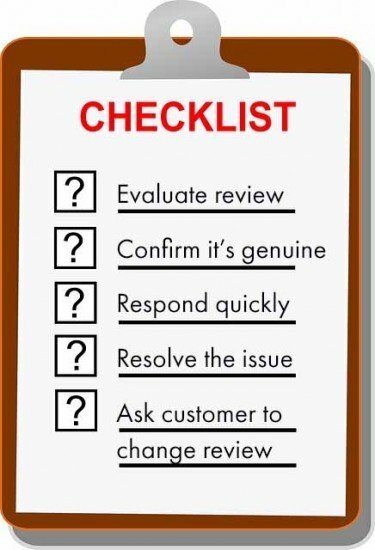 The faster you can evaluate negative reviews, the better, so immediately create this as a customer service case and assign it to the relevant person. An issue with your product is completely different from a problem experience with the delivery process, for example. Make sure your negative reviews are assigned to the right department quickly so you can work on resolving the issue as soon as possible. Fake Google Reviews are sadly quite common and you need to protect your review score from being sabotaged. If you end up with a fake review, you can flag it for removal but you need to be able to spot the fake reviews from the genuine before you can do this. Normally, fake reviews are so obvious you’ll be able to spot them right away, but things aren’t always so easy. The first thing you need to do is confirm that whoever has left your negative review on Google was a genuine customer. With Google Reviews you can respond directly to customers who leave a review in order to try and resolve the situation. But this also gives you the chance to ask reviewers for their customer number to confirm they genuinely bought from you in the first place. If you get a valid customer number, you know this is genuine. If you don’t, then you’ll have to dig a little deeper to establish whether this review is genuine or not. Check the review they’ve left again, look at other reviews they’ve left elsewhere. You’ll often find accounts leave similar reviews for multiple businesses over a short period of time. A profile of generic negative reviews left over a short time-frame is enough to flag your negative review as fake. If possible, try to ensure the same person deals with each dispute all the way through to show customers they’re being treated as a priority. Show your customers that a real person is dealing with their concern and try to create a personal connection during the resolution process. People want to know your staff genuinely care about their problems and are happy to take steps to improve the experience for them. Resolving concerns in a friendly, personal manner shows your customers that you treat them as individuals, not just another number. It also increases the likelihood of them editing their review score if they develop some kind of rapport with the person who handled their dispute. No matter how fast and polite your responses are, this is what it all comes down to. If you can’t leave customers feeling like their issue was resolved then you’ve probably got a permanent negative review on your hands. Sometimes, this will be unavoidable but it’s important you have a clear process in place for resolving various types of issues. Process is important here too, because customers want to feel like there’s nothing more you could have done to fix things for them. If someone ends up with a faulty product, there’s a good chance they’ll accept this kind of thing happens sometimes – as long as you can get a replacement out to them as soon as possible. Any kind of delay suggests you’re not going the distance to resolve something that never should have happened in the first place. It also helps to give customers a little something extra to make up for the inconvenience. Even a fairly modest coupon or free gift could be the extra touch it takes to make people feel like you’re really looking after them. If all has gone to plan and you’ve successfully resolved the issue in your negative review, now is the time to ask your customer to rethink their review score. You might have to test out a few different approaches for this and you may find different tactics work for different types of customer problems. The best advice we can give here is not to automate this step. The whole point of having one rep handle individual customer cases throughout is to establish a personal connection. People are far more likely to change their initial review score if they feel like someone has gone the distance to address their concerns. Negative reviews are never nice but it’s how you deal with them that counts. 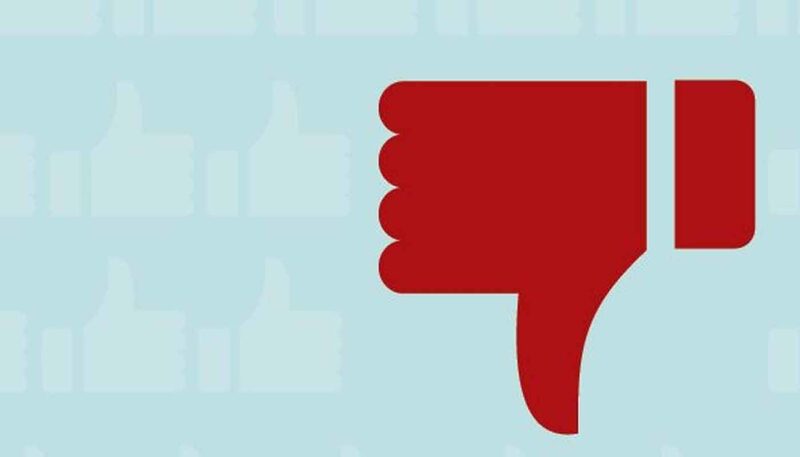 In fact, various studies have found that brands that deal with negative reviews effectively actually benefit from the negative feedback they receive. It gives you a chance to demonstrate your epic customer service skills, highlight any recurring issues that should be fixed and turn an otherwise unsatisfactory customer experience into something positive. Remember, it’s not only about the initial sale. It’s about turning customers into repeat buyers and showing new potential customers that yours is the kind of business that’ll look after them. 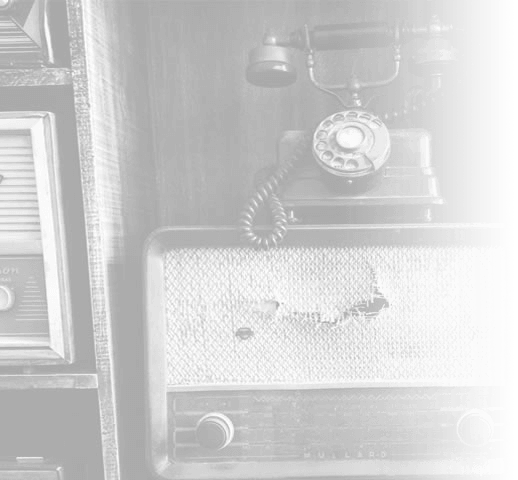 Contact our SEO specialists on 023 9283 0281 or submit your details here.